Coolclean supplies and installs a complete line of Counter Flow and Cross Flow drift eliminators. Drift eliminators are extremely important in the attempt to prevent Legionnaires’ disease. It is highly recommended that drift eliminators are replaced if defective. We recommend Brentwood drift eliminators, which are specifically designed to achieve maximum drift removal efficiency in both crossflow and counterflow tower applications. The drift eliminator modules nest with adjoining modules, eliminating gaps between packs and providing seamless drift removal. 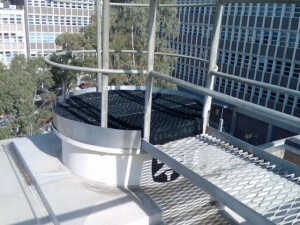 Drift eliminators control water loss from a cooling tower by limiting the amount of circulating water droplets that are emitted with the exhaust air of the tower. Since drift droplets contain the same chemical, bacteria and particulate matter of the circulating water inside the tower, they can cause numerous detrimental effects on surrounding equipment and the environment. 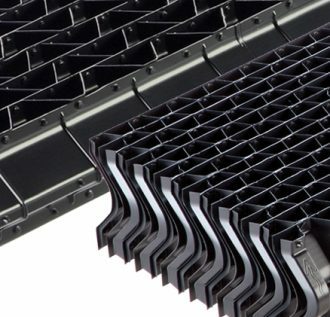 The cooling tower industry uses drift rate to compare drift eliminator performance, a relationship that correlates droplet capture efficiency to the water circulation rate in a tower. Drift eliminators are extremely important in the attempt to prevent Legionnaires’ disease. 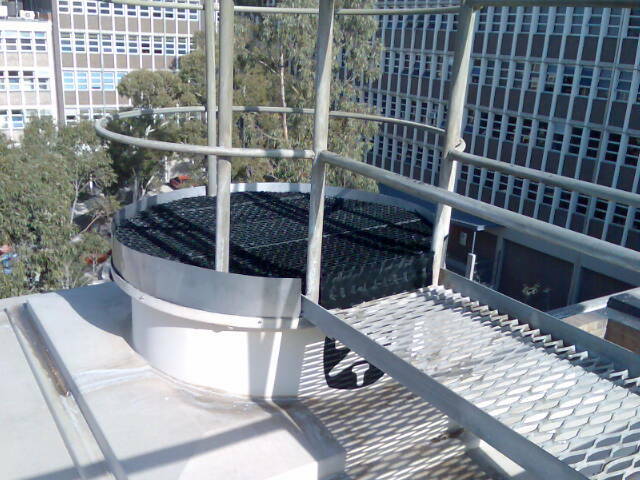 This is because they restrict water droplets from leaving the cooling tower via the force of the fan. The droplets, known as ‘drift’, have the potential to harbour bacteria and pathogens such as Legionella. These droplets can be inhaled by persons within a 2 km radius. The drift eliminators are designed to control these droplets from becoming airborne and transmissible to people in the area, thus reducing the risk. Excessive drift loss occurs if drift eliminators are not fitted correctly; or if drift eliminators are damaged, scaled, dirty, corroded or brittle.